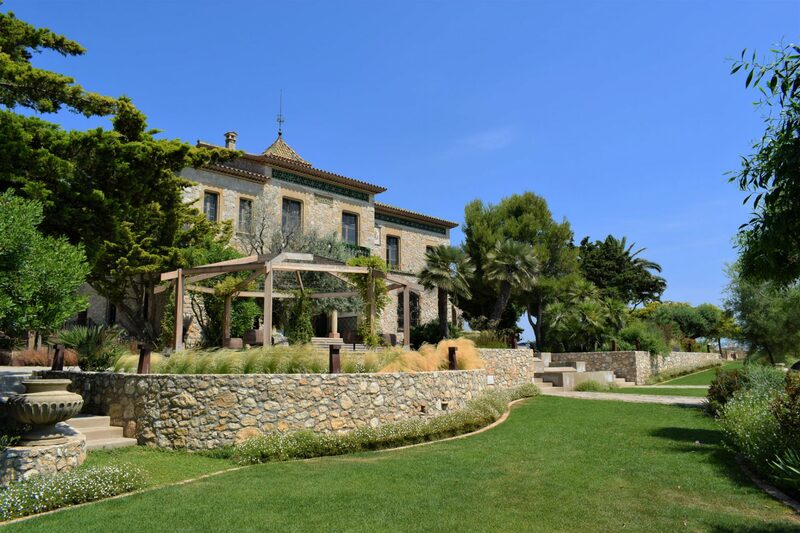 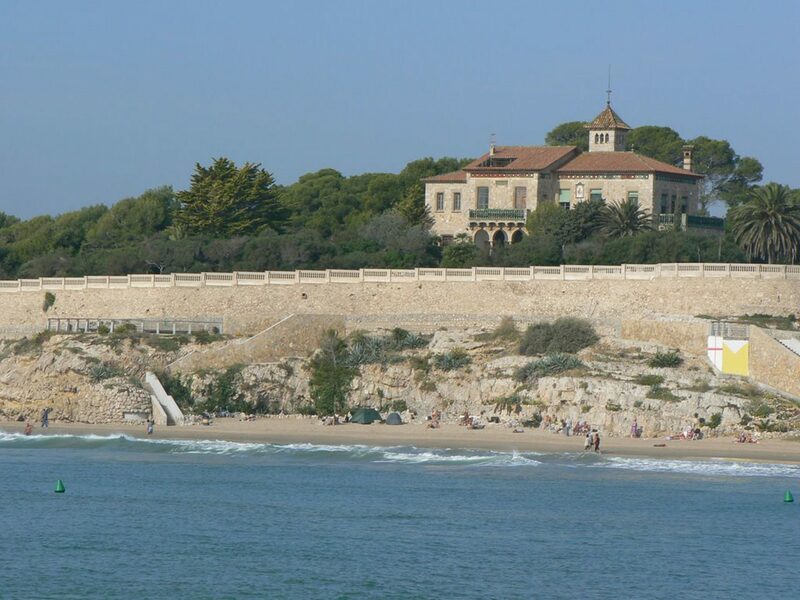 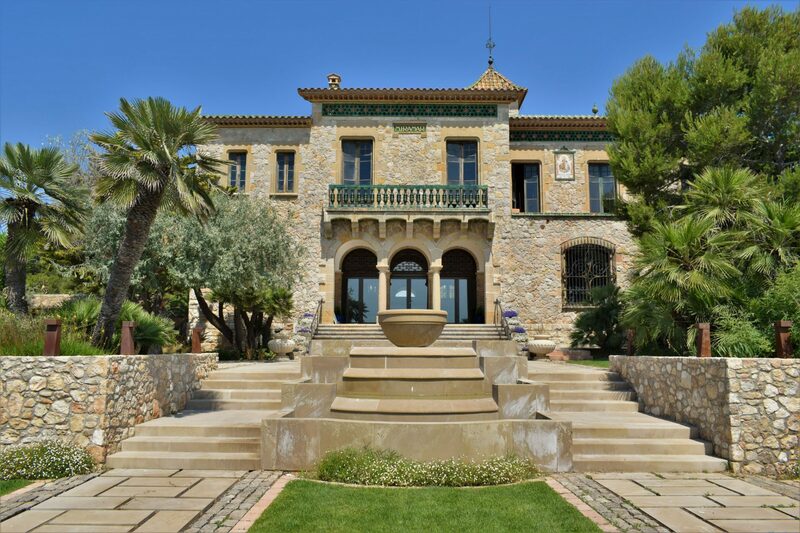 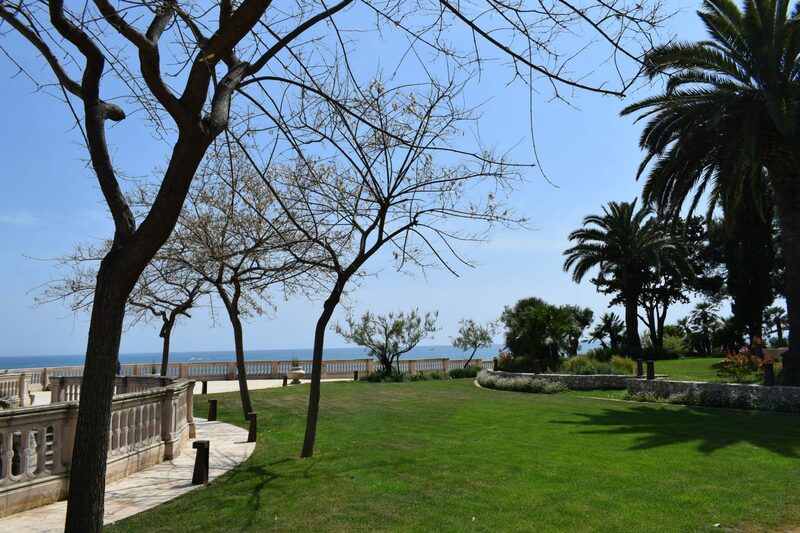 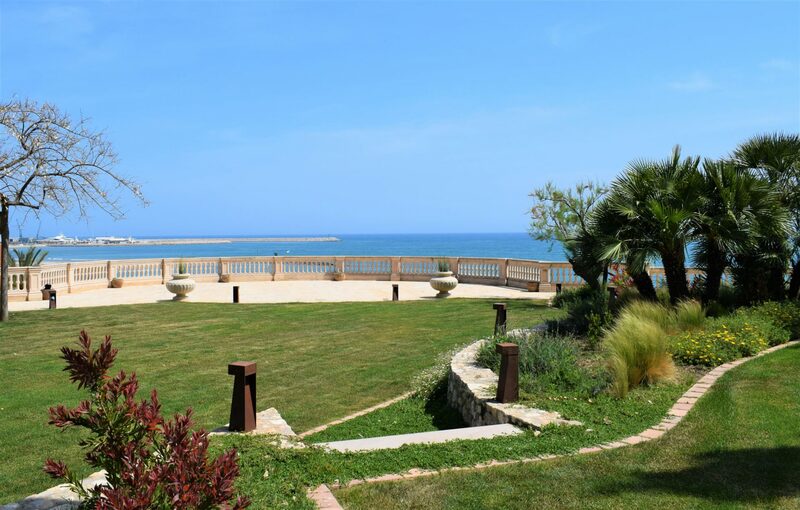 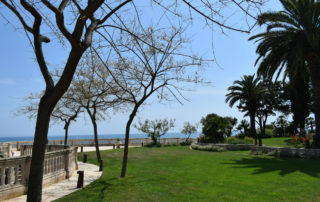 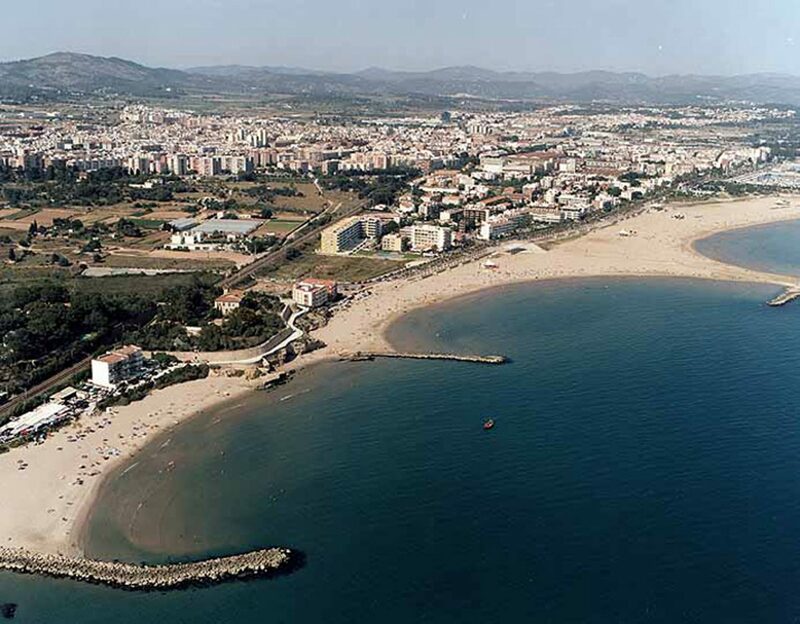 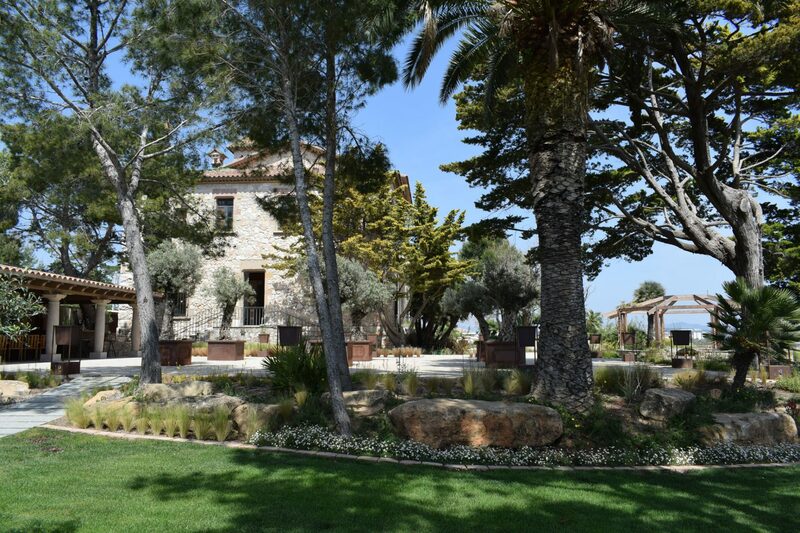 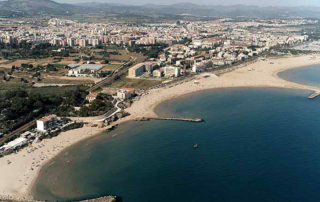 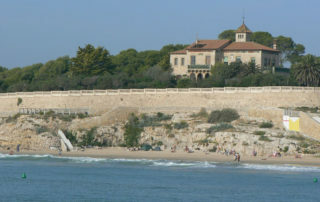 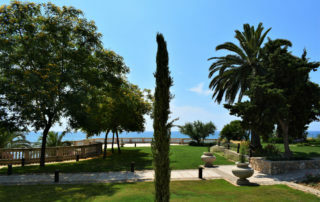 Xalet del Nin is a venue located in Vilanova i la Geltrú, on the Garraf coast, protected as a cultural asset of local interest. 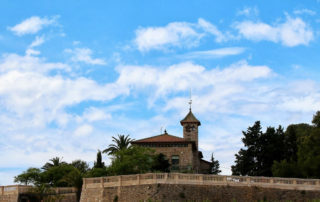 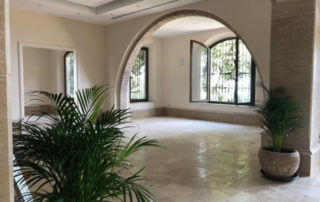 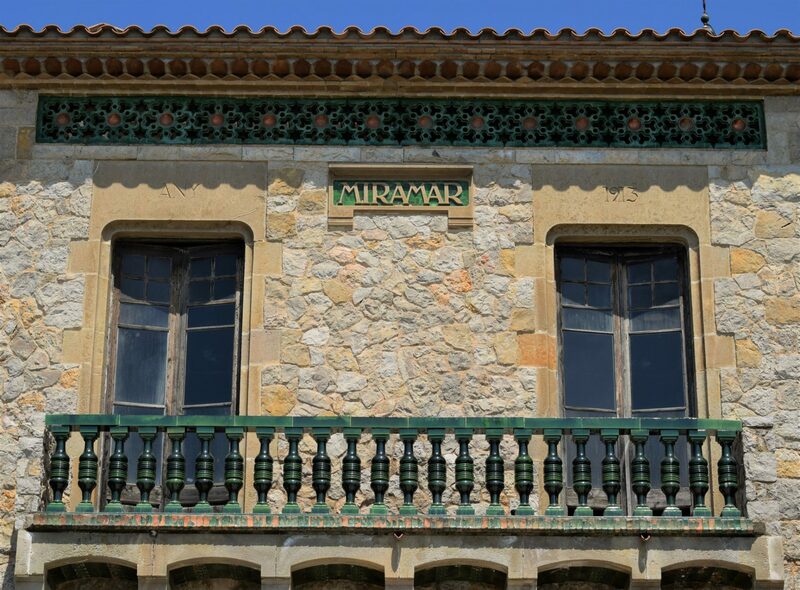 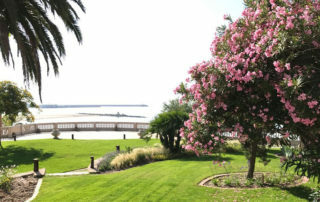 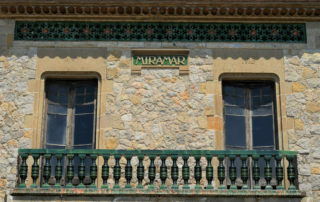 It was built in 1913 by the lawyer Joan Ferrer Nin as a residential tower, and it was not until 2018 that it opened its doors to the public. 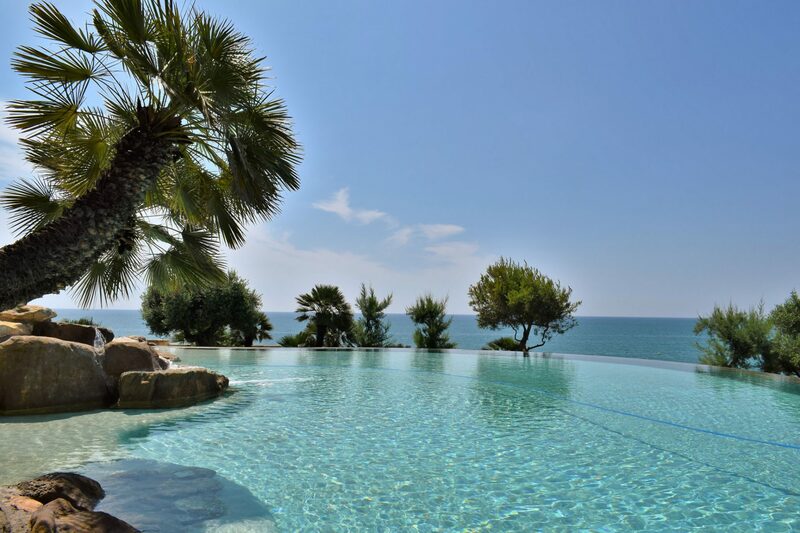 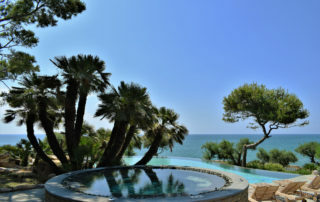 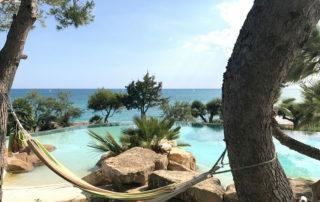 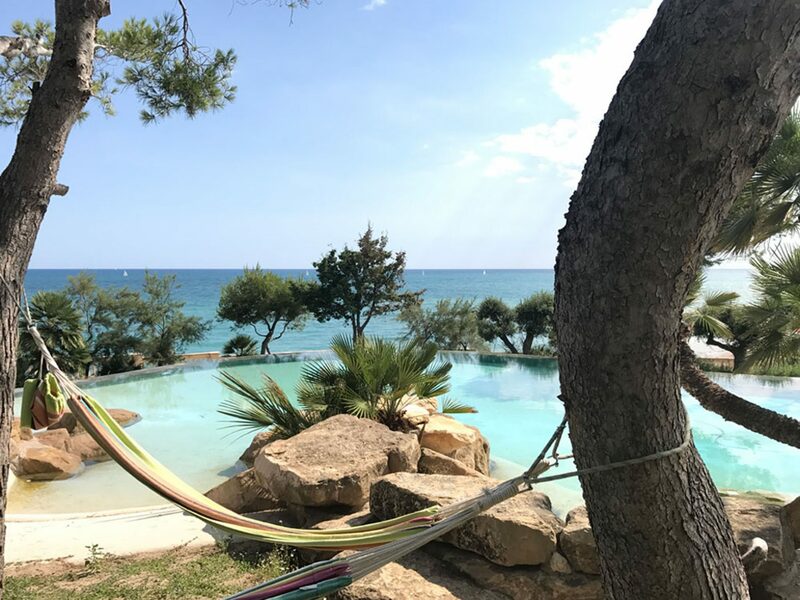 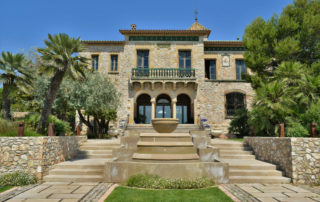 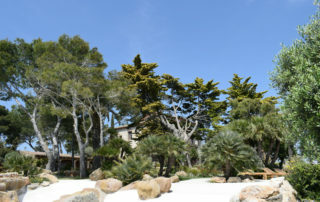 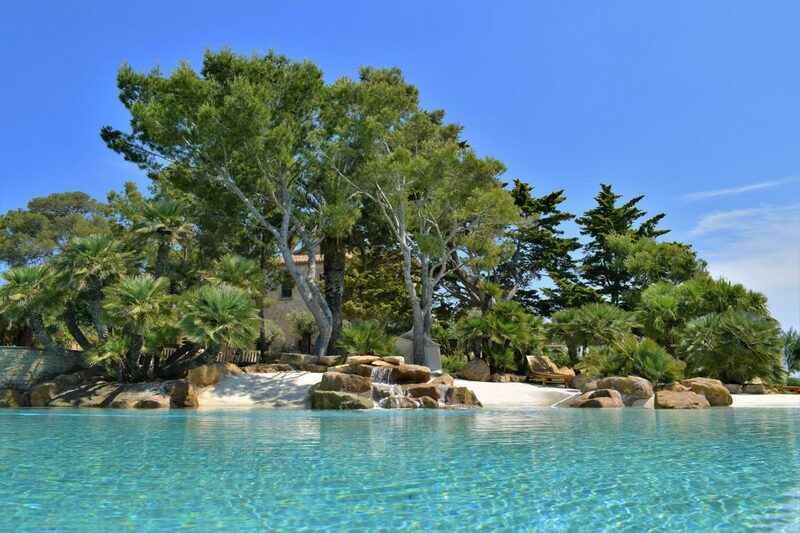 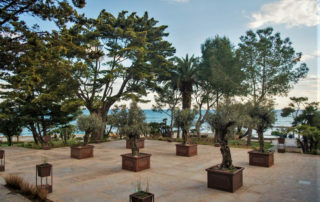 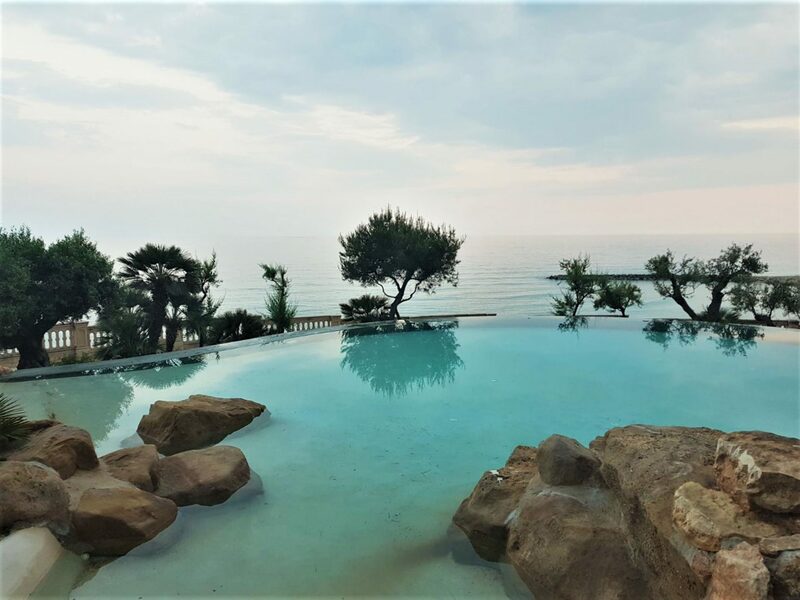 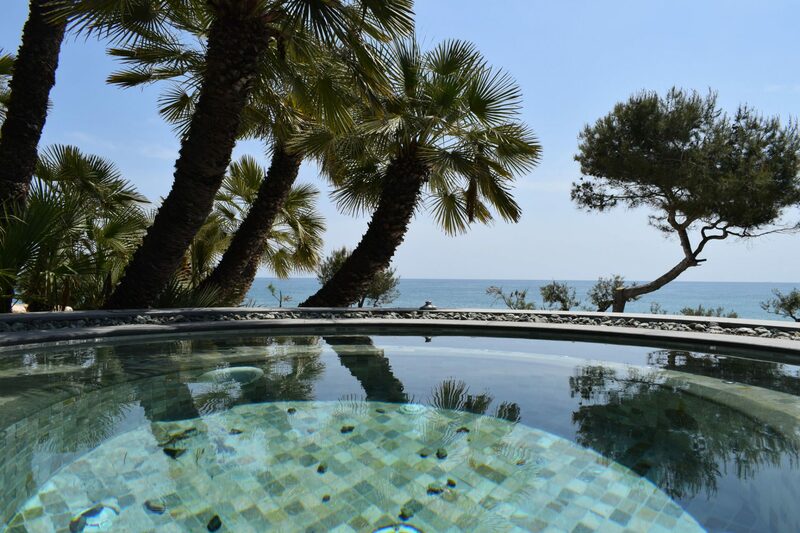 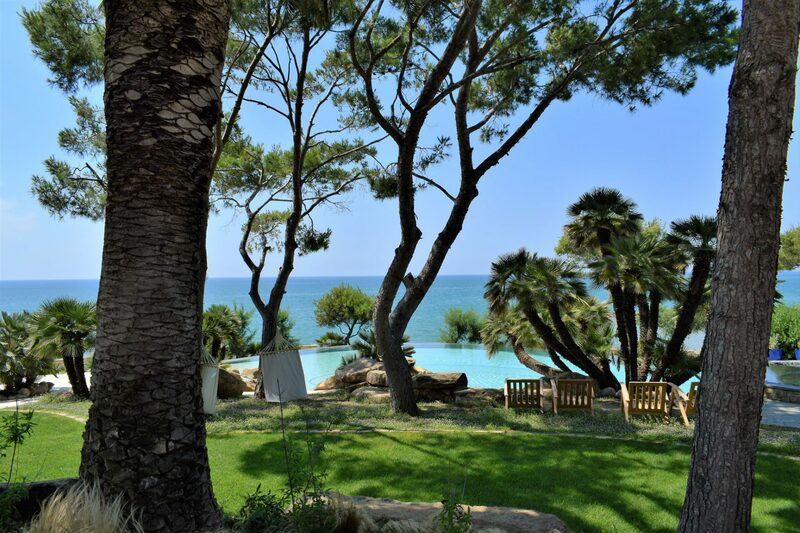 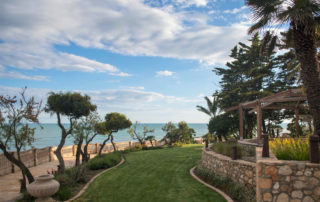 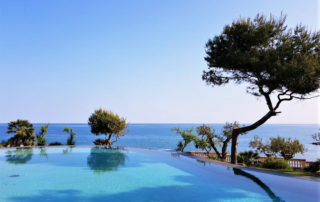 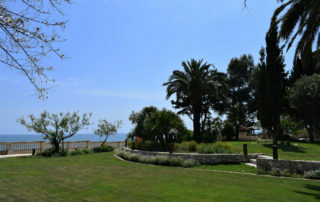 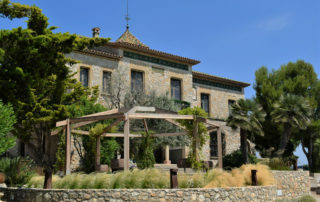 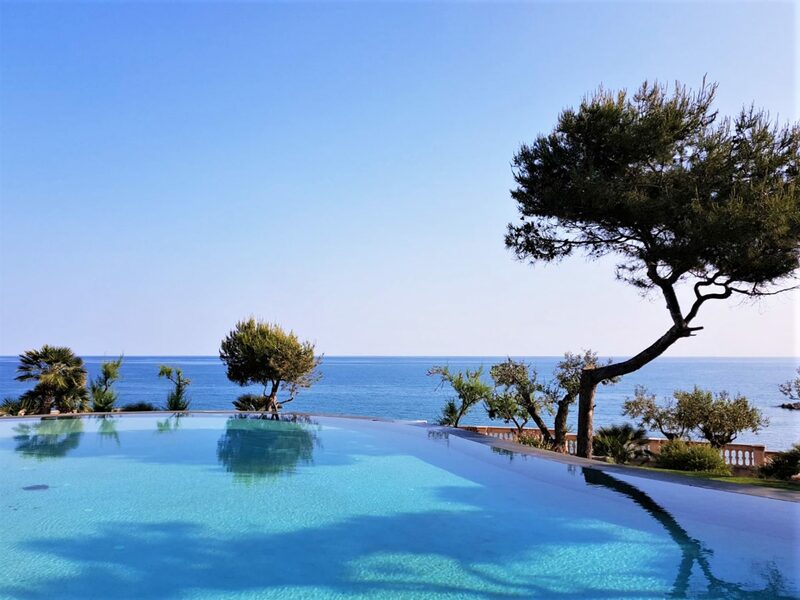 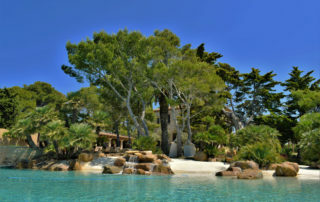 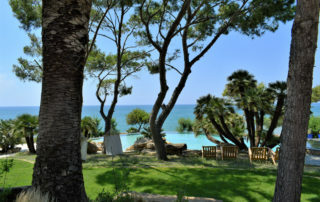 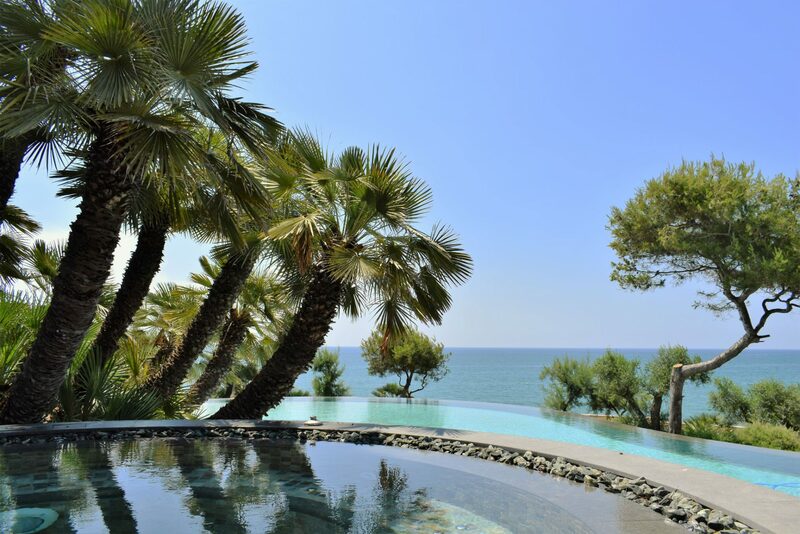 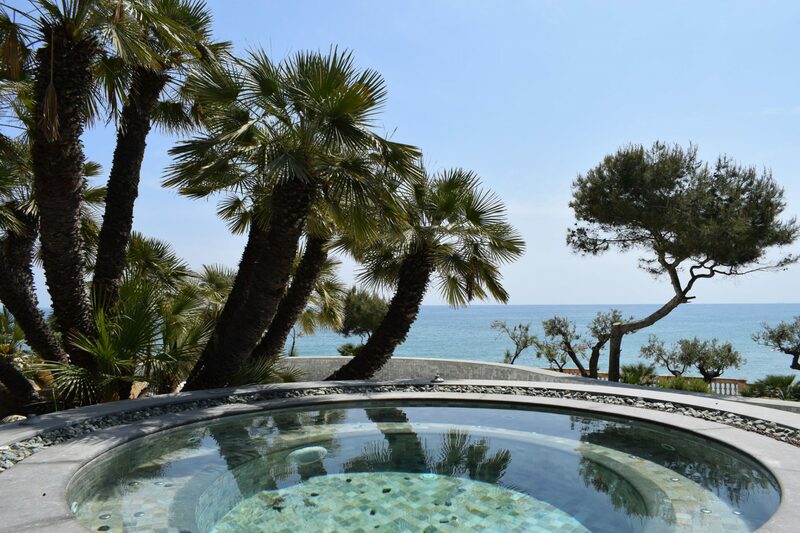 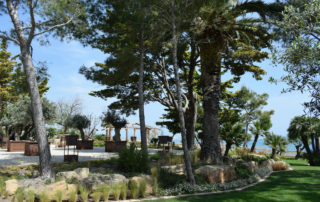 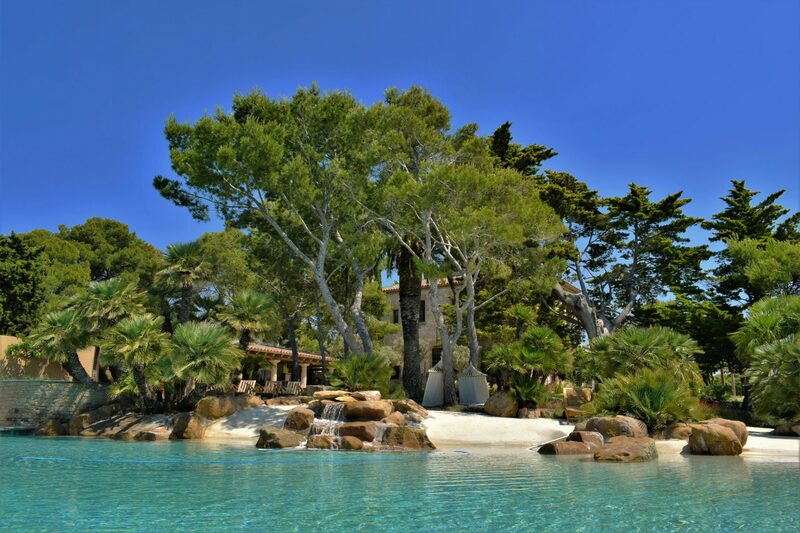 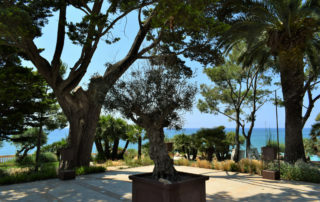 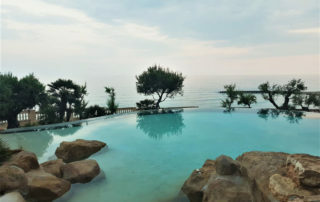 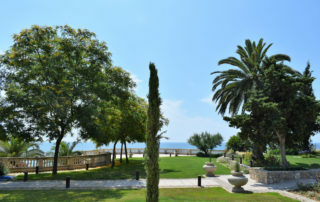 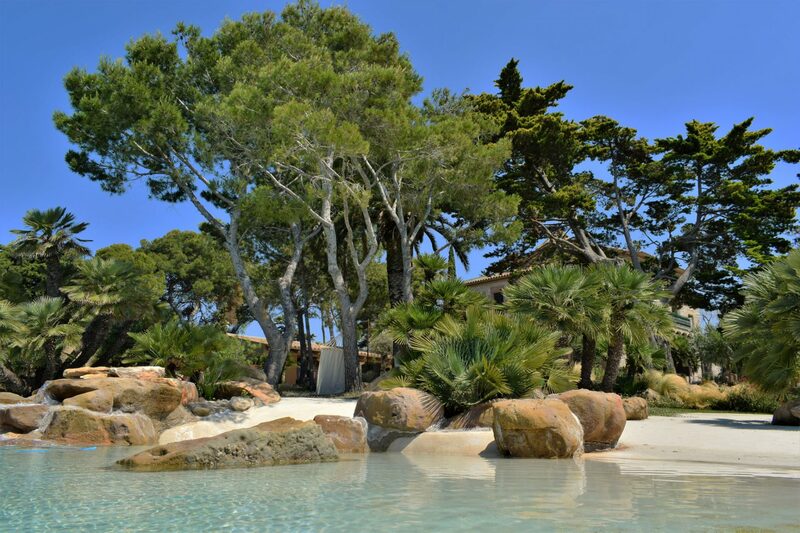 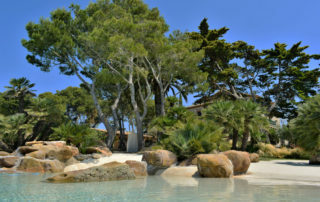 Located within a walled enclosure, on a jetty that separates the beaches of La República and Capellans, the Xalet del Nin stands as one of the few places in Catalonia that offers couples a unique environment facing the sea, with over 4,000 m2 of outdoor gardens, a natural pool, a round chill out area, and the viewpoint, ideal for the ceremony. 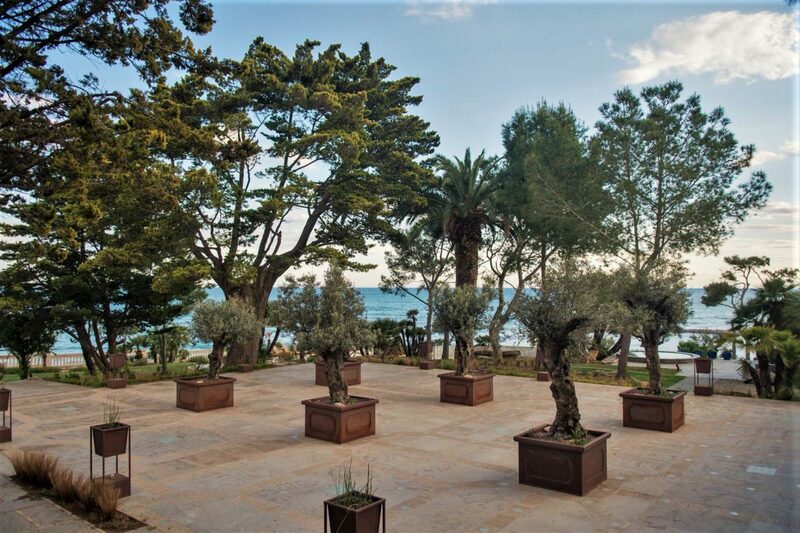 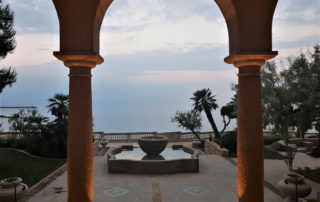 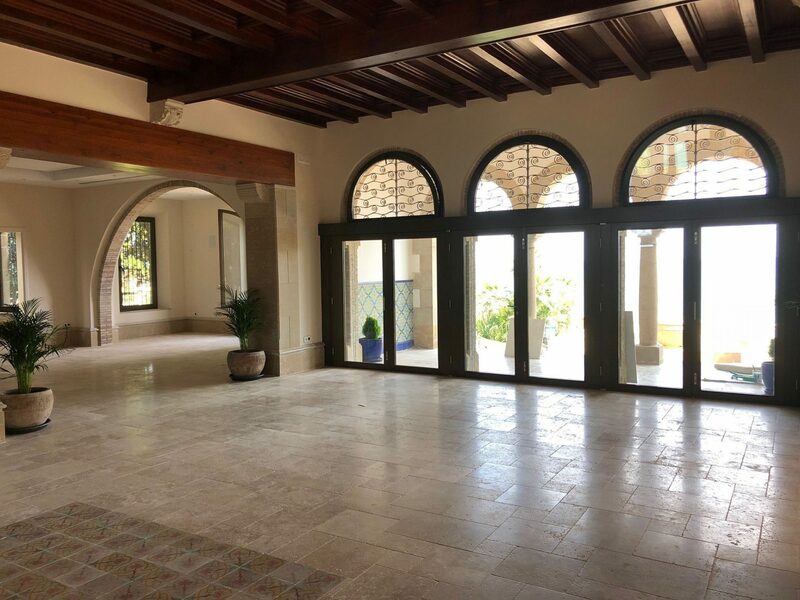 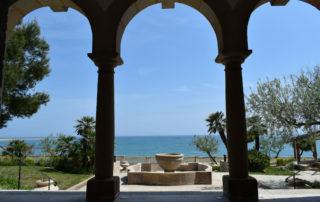 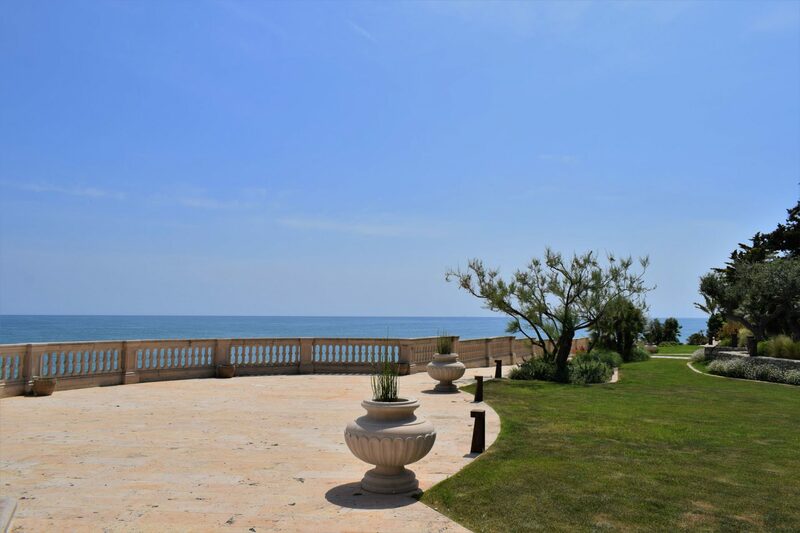 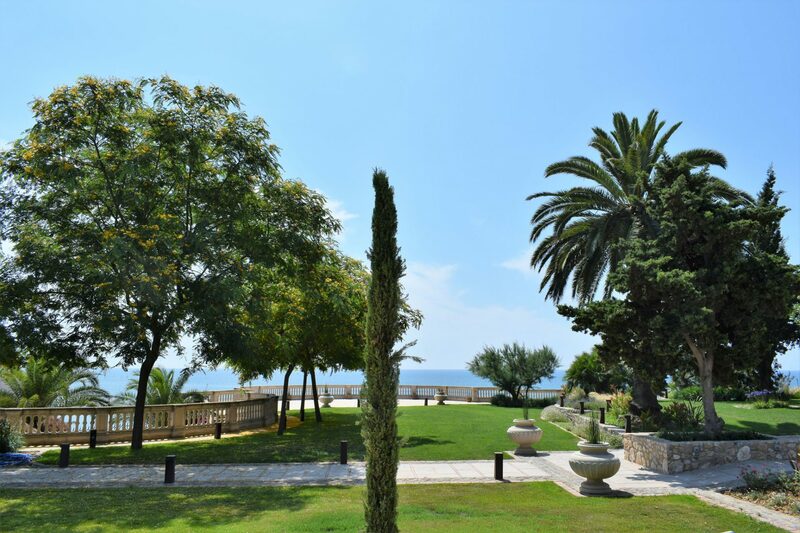 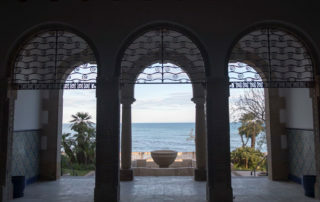 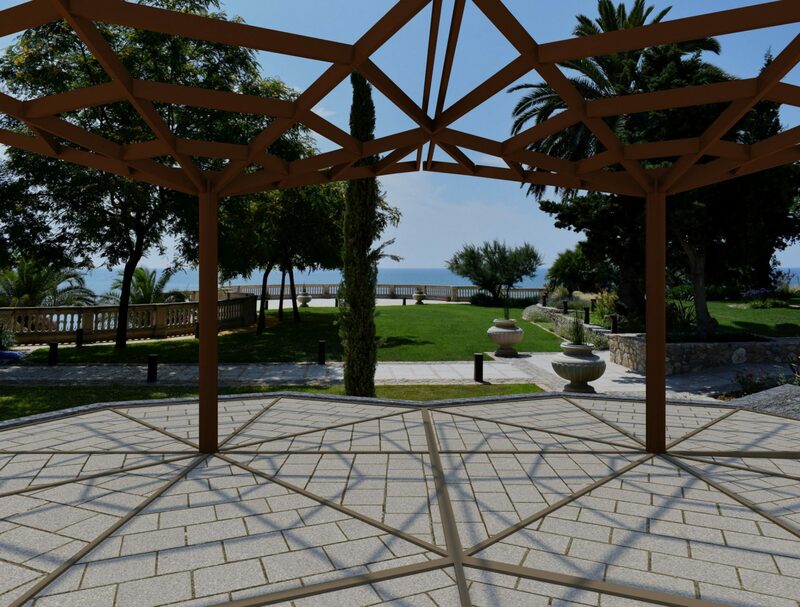 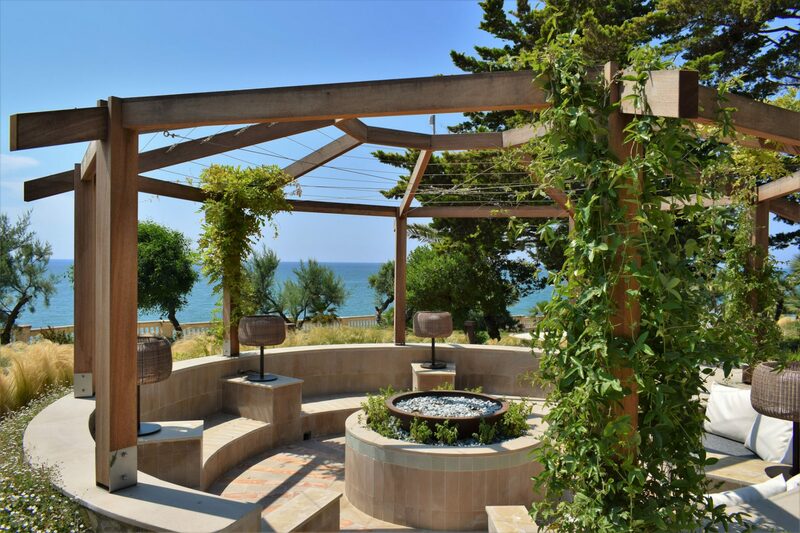 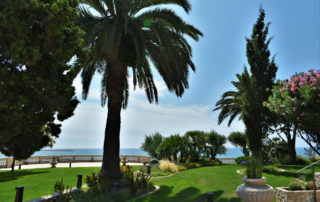 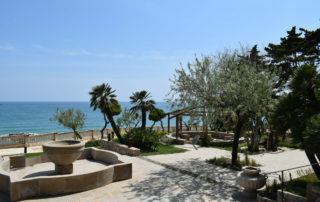 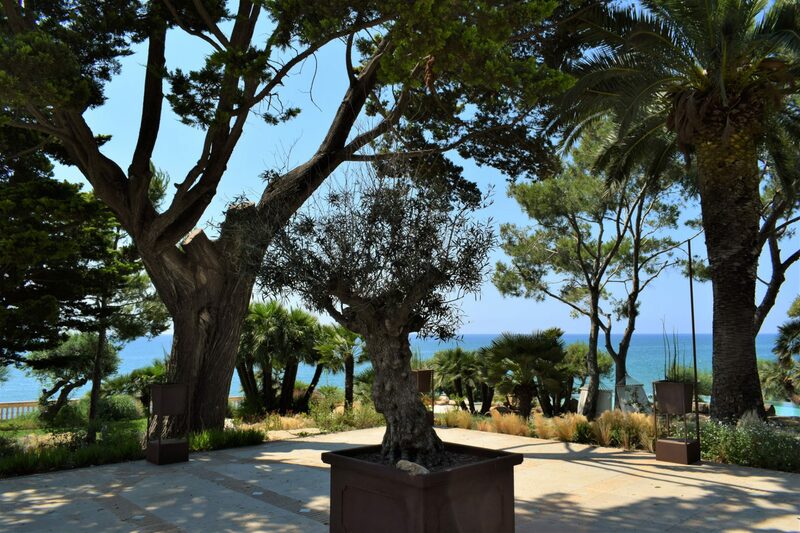 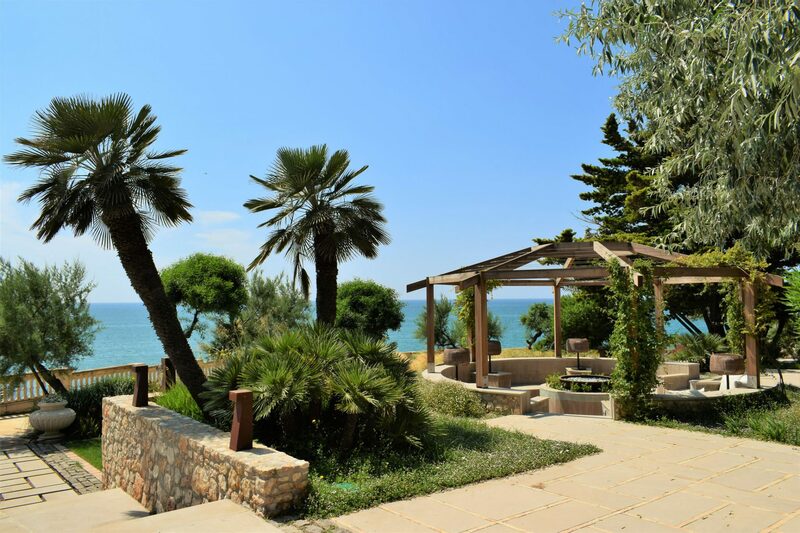 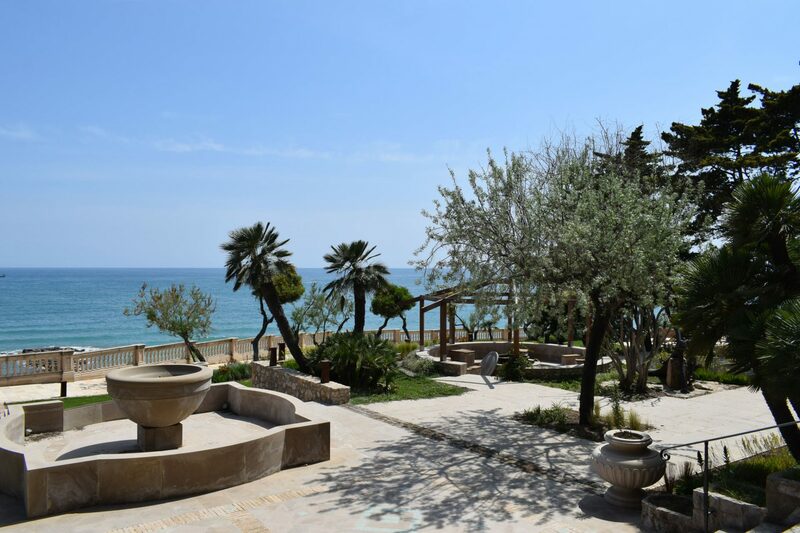 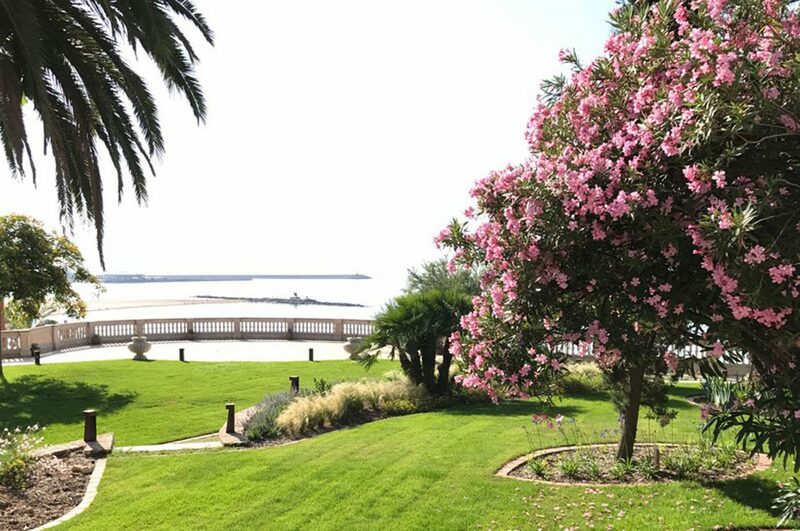 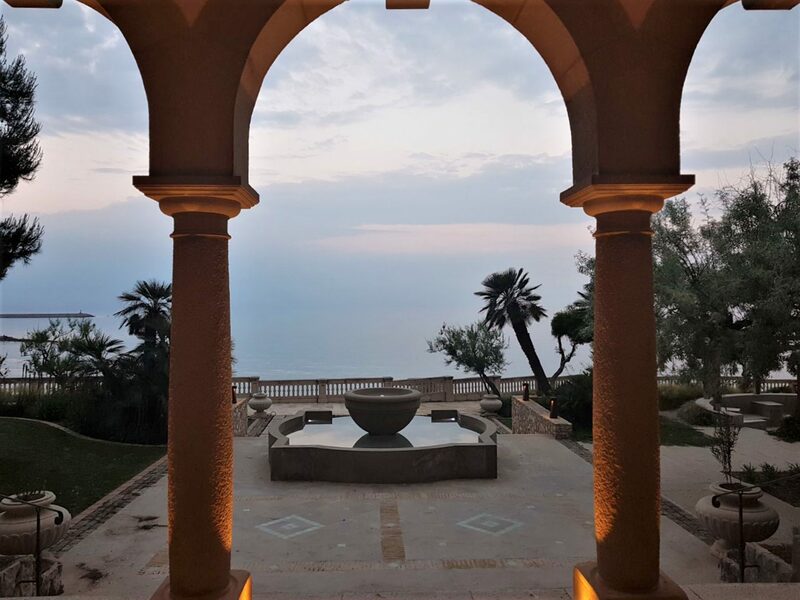 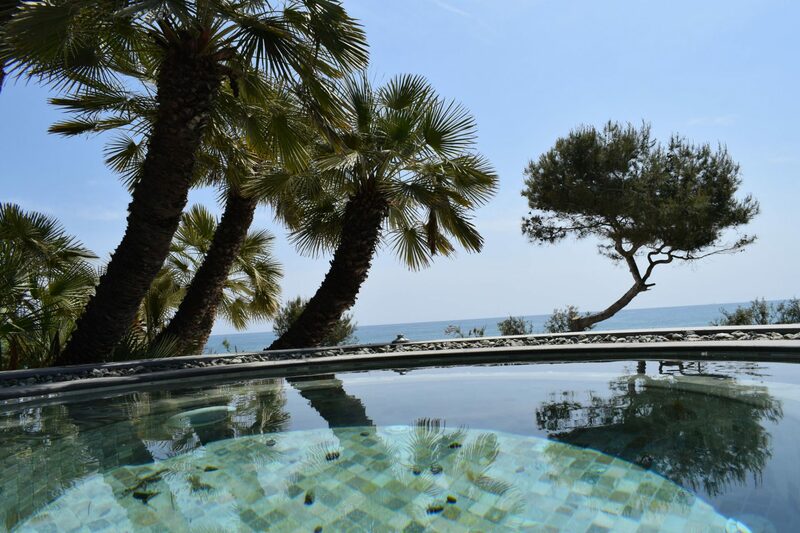 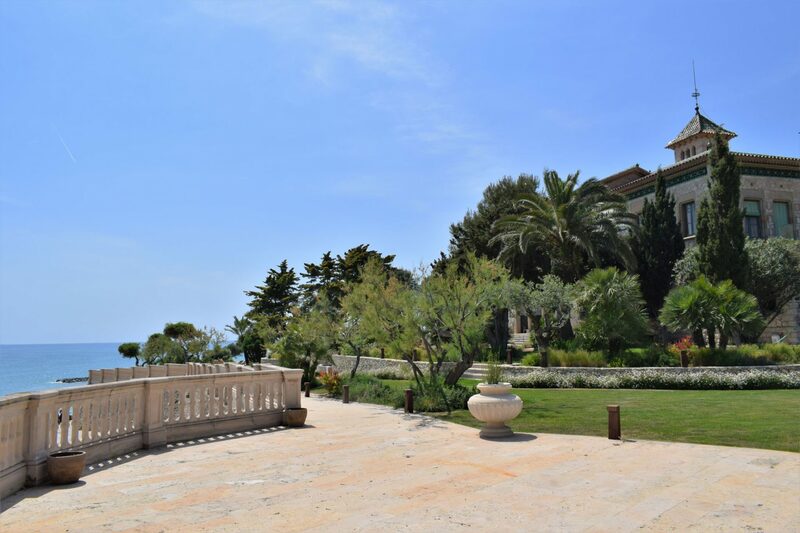 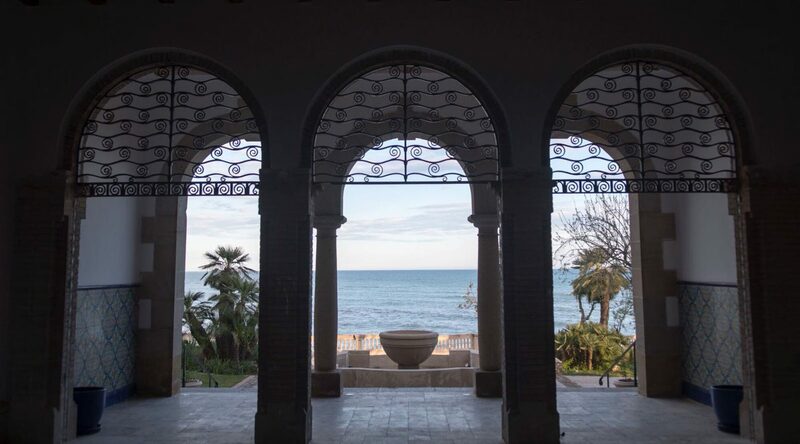 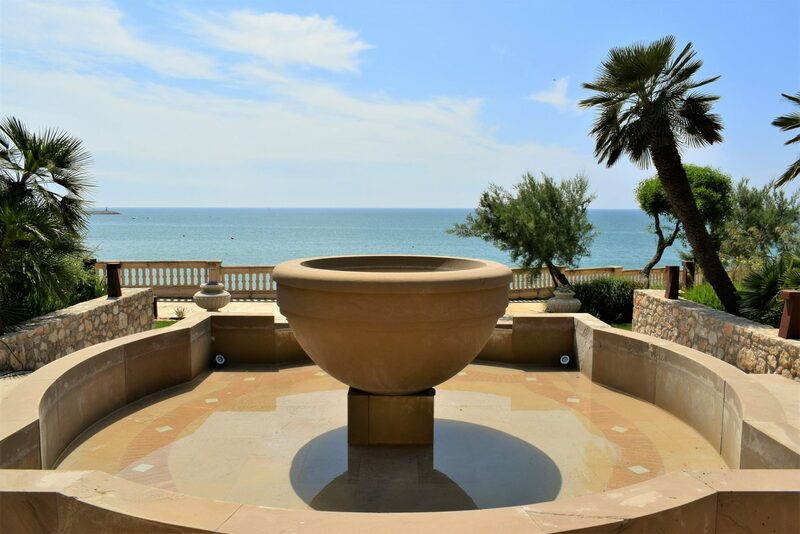 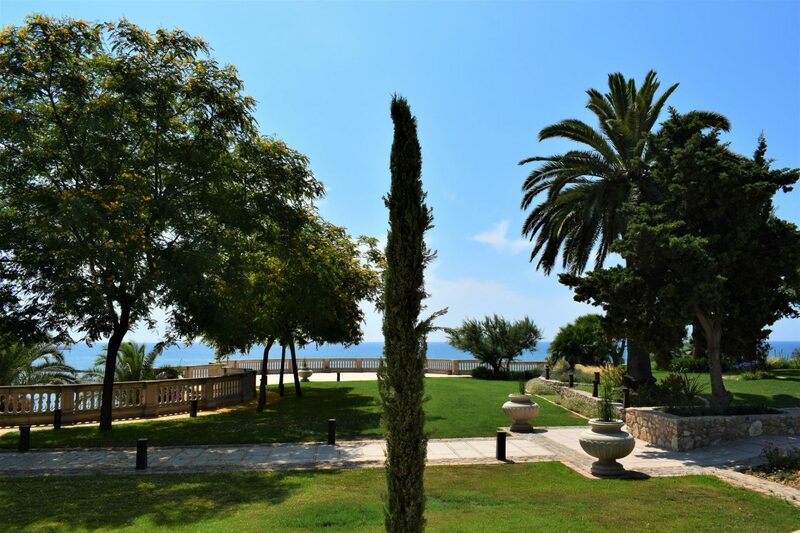 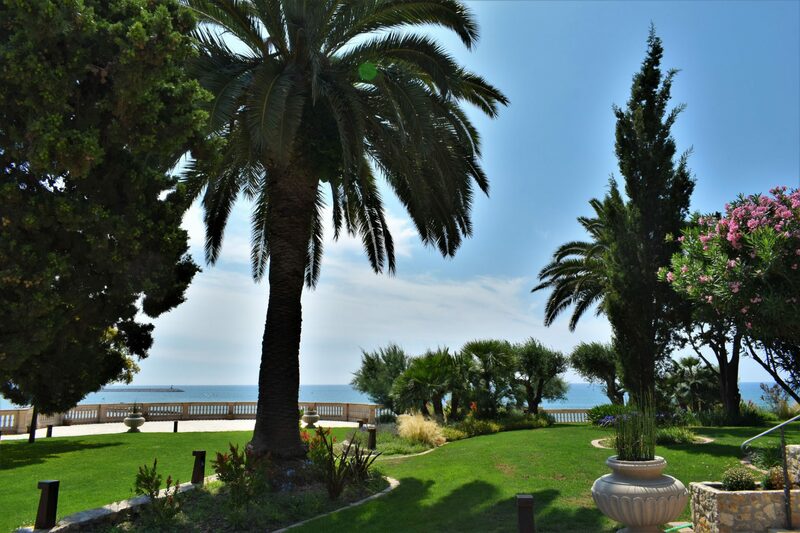 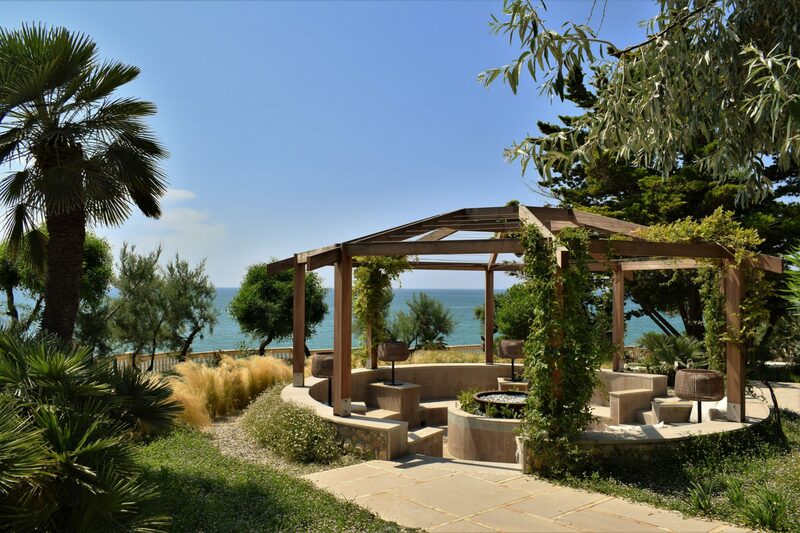 The balcony surrounding the house, with more than 150 linear meters facing the sea, will become your dreamed corner for a ceremony that your guests will hardly forget. 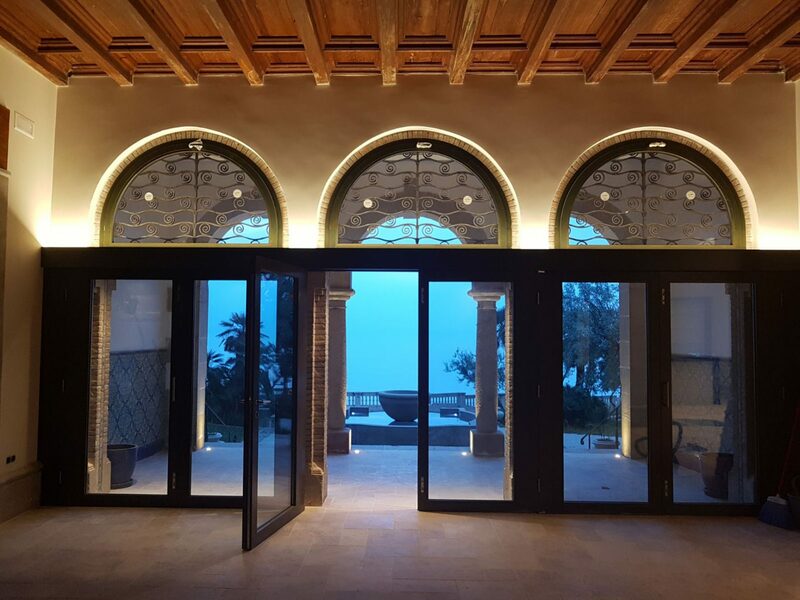 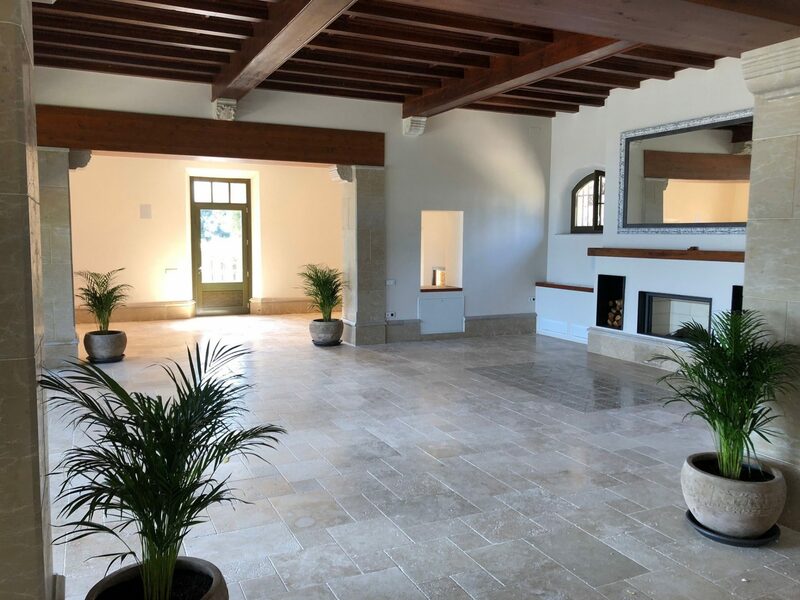 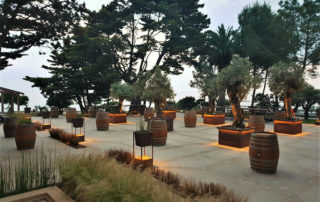 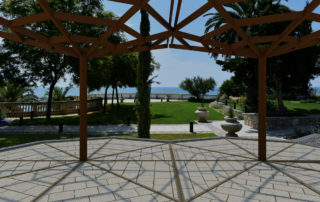 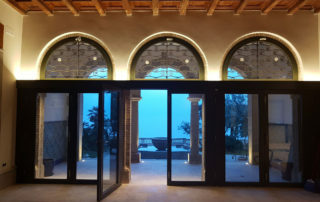 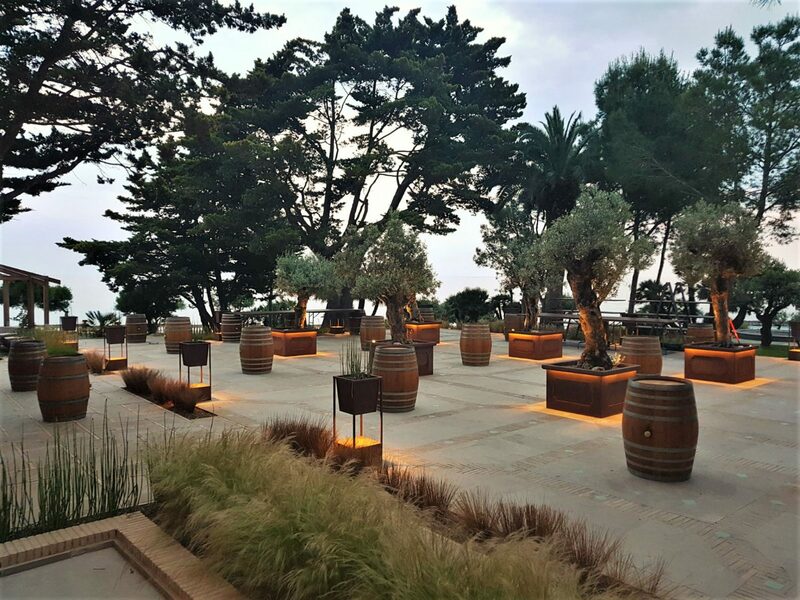 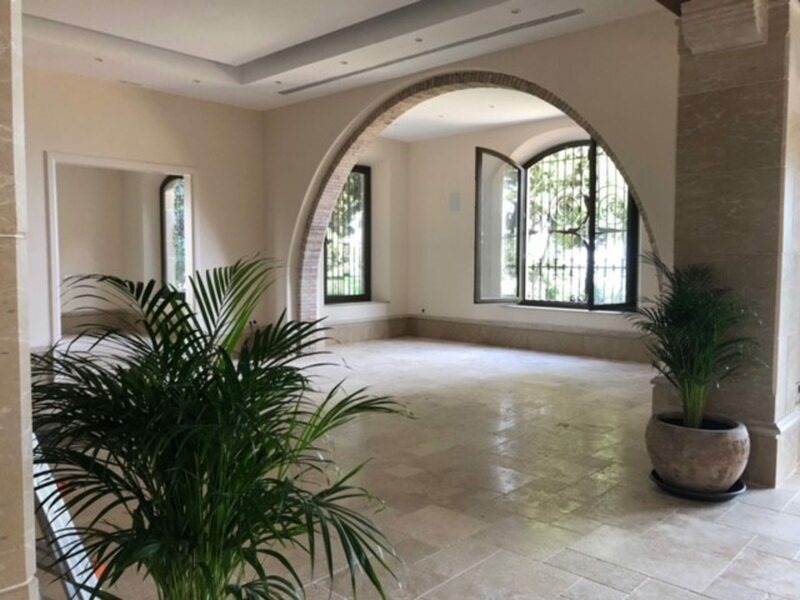 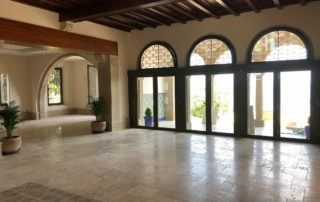 The interior of the Xalet del Nin, with capacity for 150 guests and the covered area of l’Umbracle, with capacity for more than 230 guests, offer you the possibility of choosing the area of the banquet. 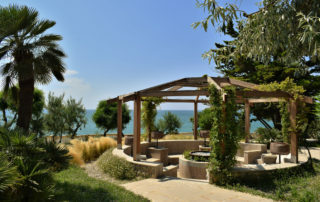 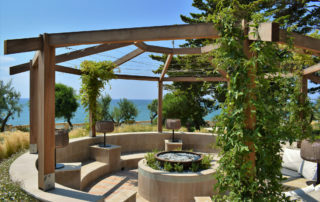 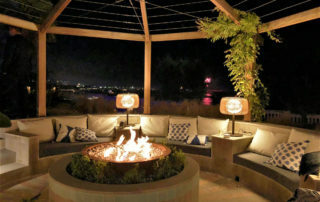 The finca also has a large patio with olive trees, where you can enjoy an aperitif, an extensive cocktail or even your banquet with sea views, wherever you look. 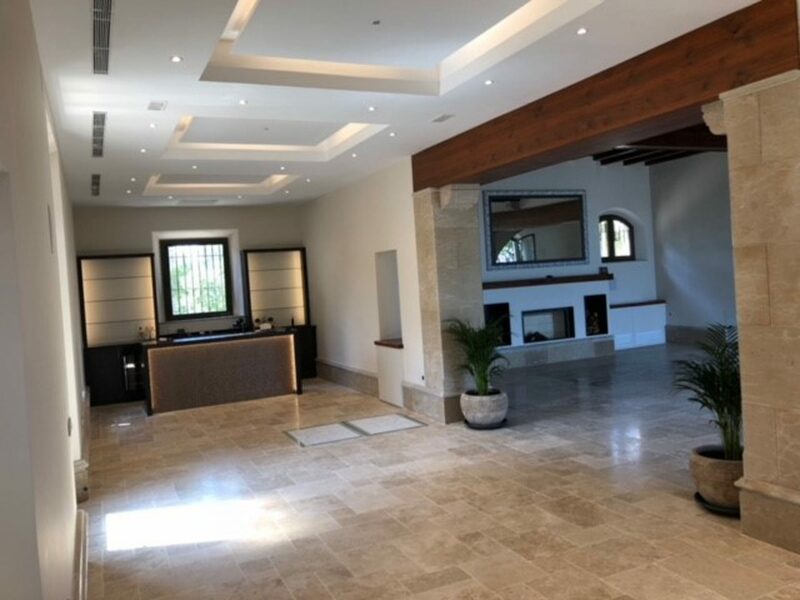 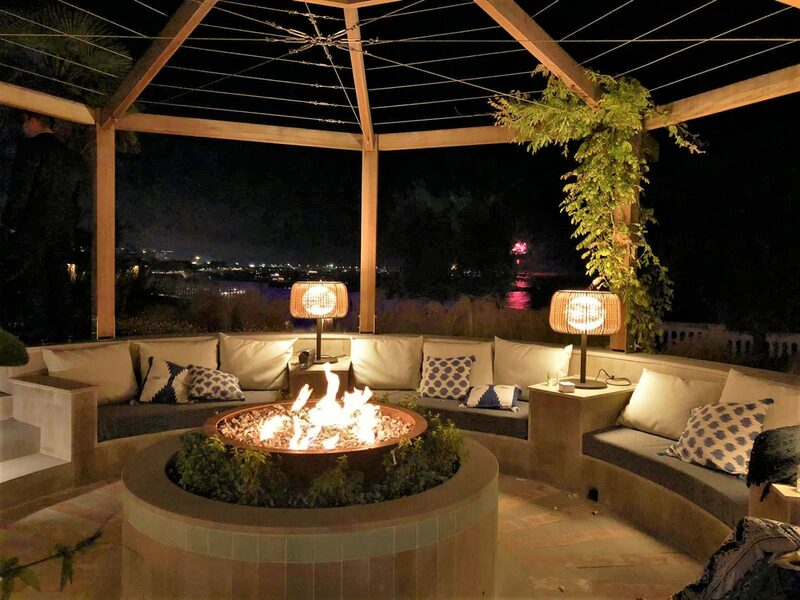 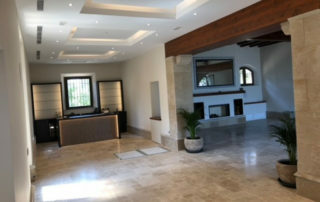 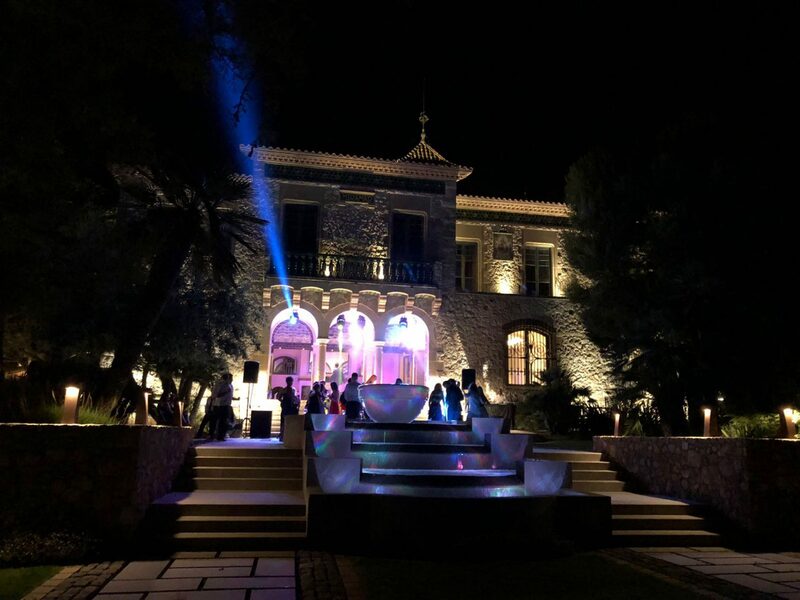 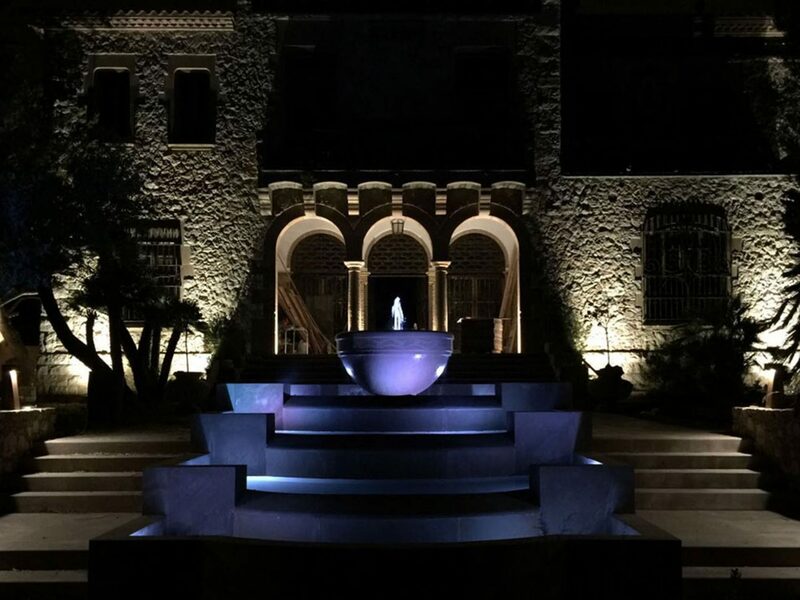 And if you wish to continue the party in the same place, you only have to climb the fantastic stairs that will take you inside the house, recently renovated, to finish the night in a big way. 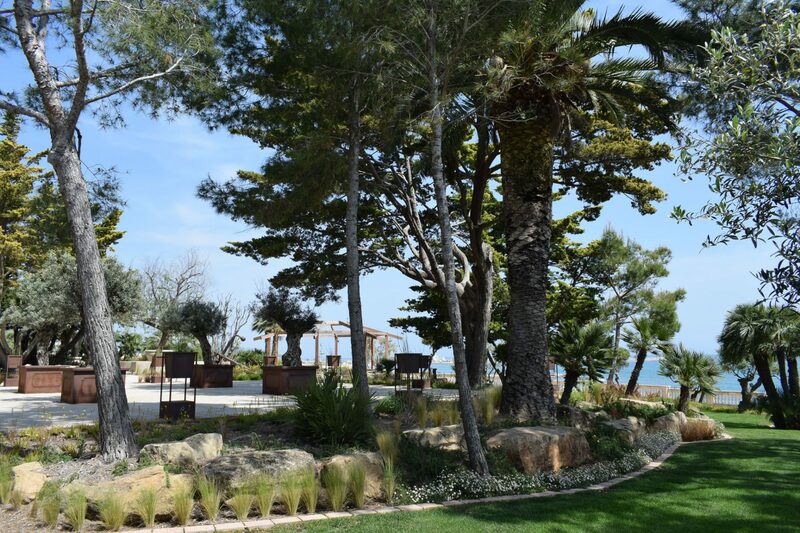 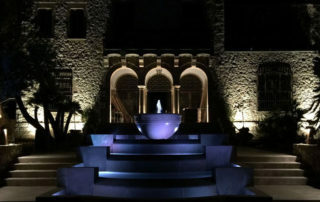 The Xalet del Nin offers you the best option to organize your wedding, with the help of Catering Sensacions team, whose enthusiasm, passion, creativity and sensitivity guarantee success in each every single one of their services. 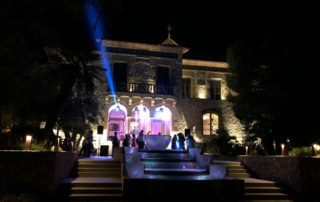 The gastronomic proposal, based on the respect of the Catalan culinary tradition, mixes the illusion and daring, nuances of other cultures that will not leave you indifferent and will make your day unique. 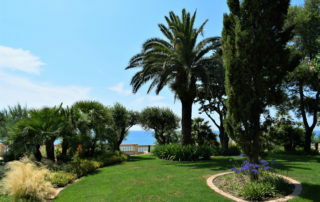 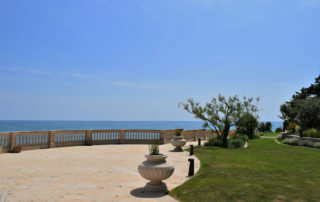 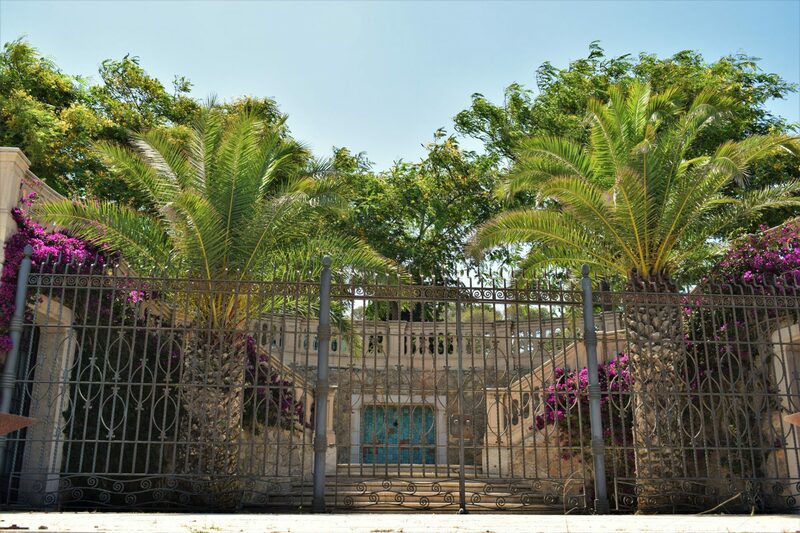 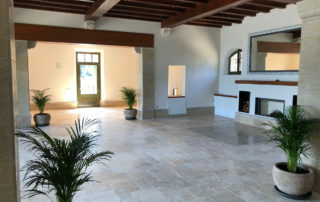 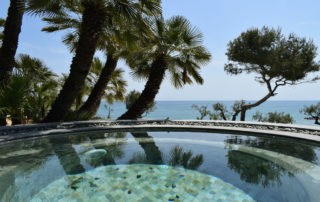 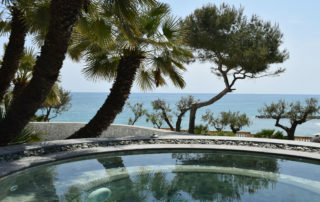 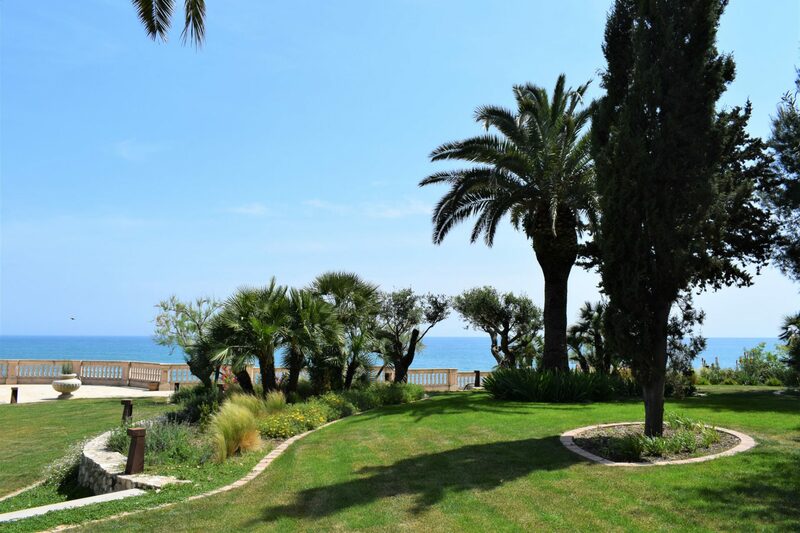 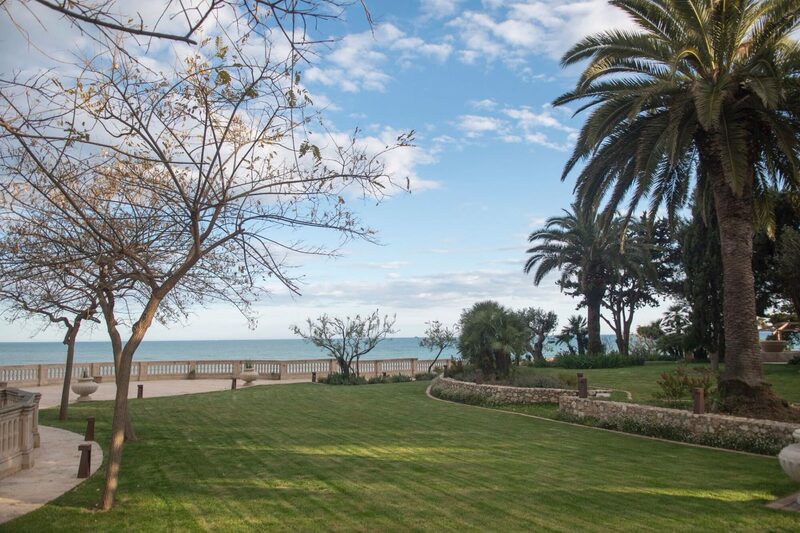 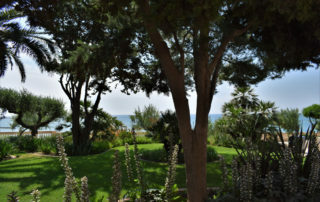 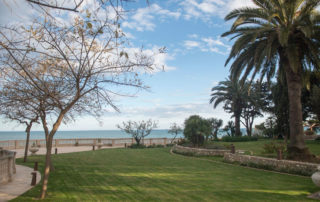 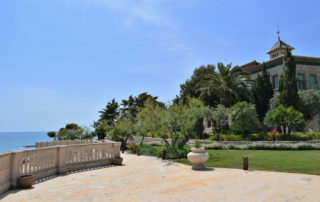 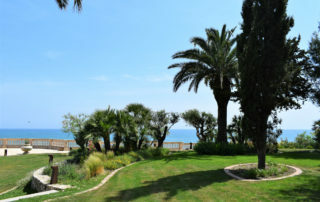 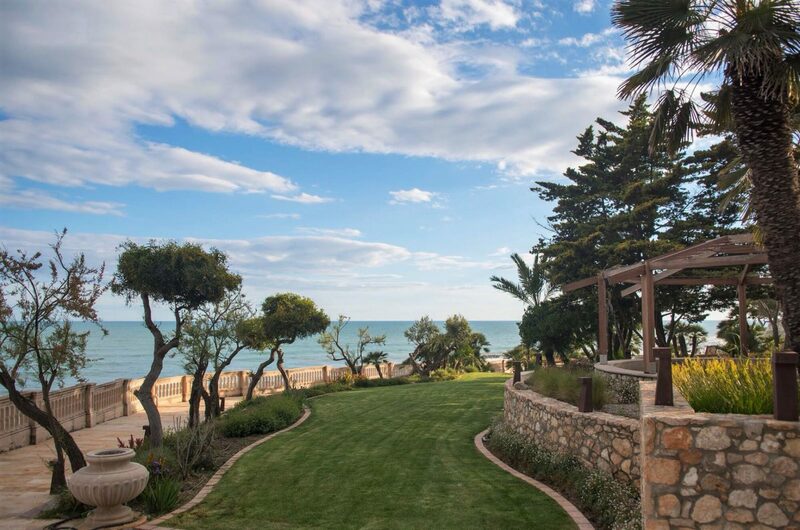 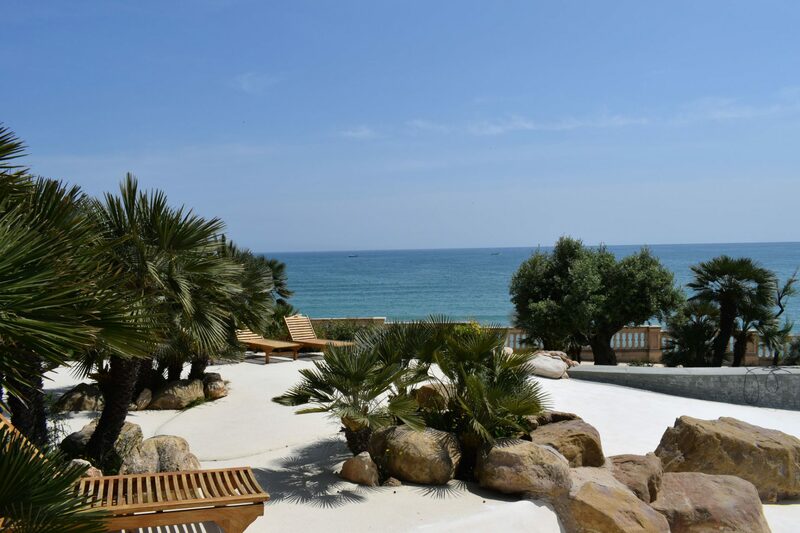 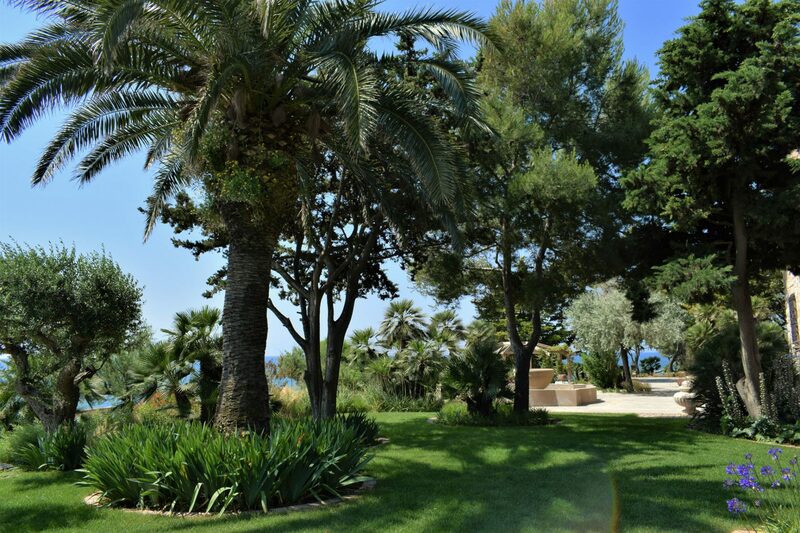 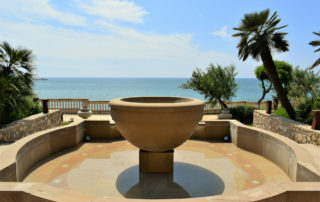 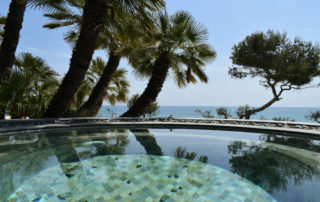 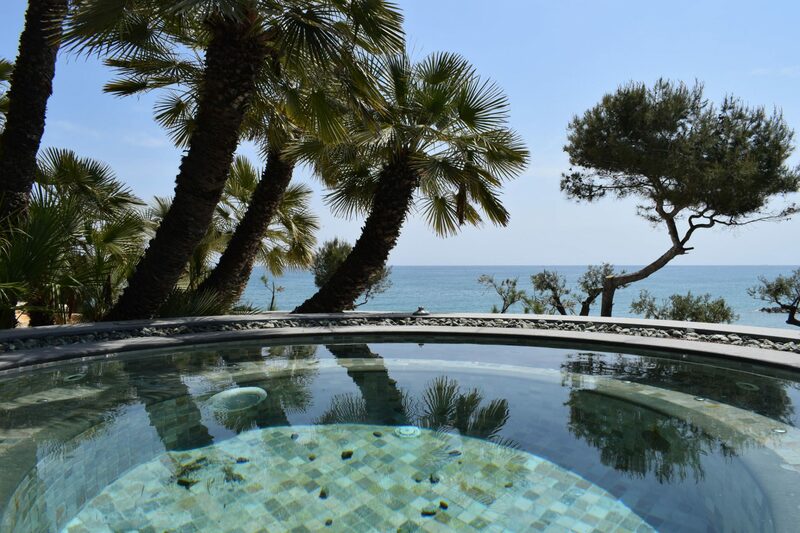 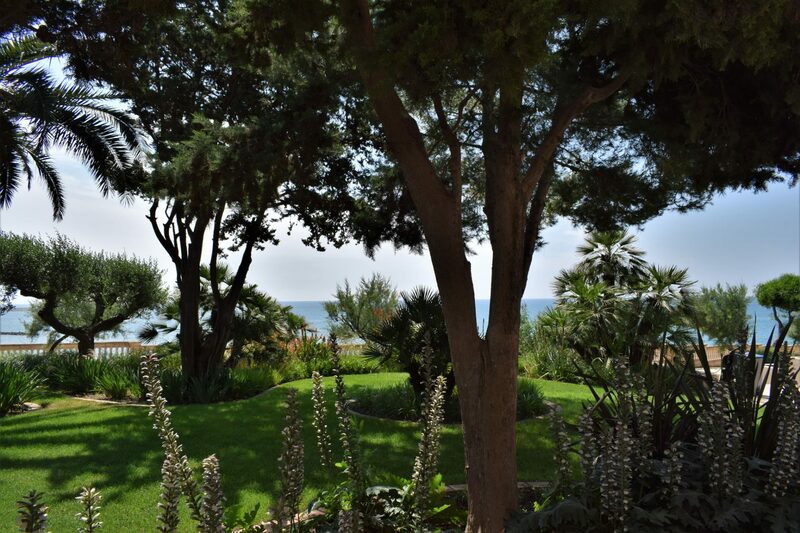 Do not hesitate and celebrate your day in this magnificent finca of the Garraf, facing the sea. 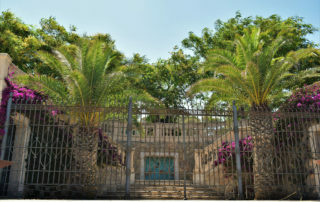 It also has private parking for 50 vehicles.